This S&S® Stealth air cleaner kit for 1993-'99 HD® big twin models with S&S® Super E or G carburetor. 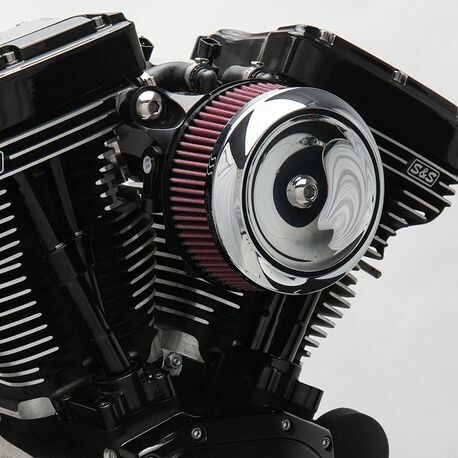 Increased filter area, combined with an air horn like radiused inlet and unique S&S® stinger cone to allow smoother faster air flow for more power. 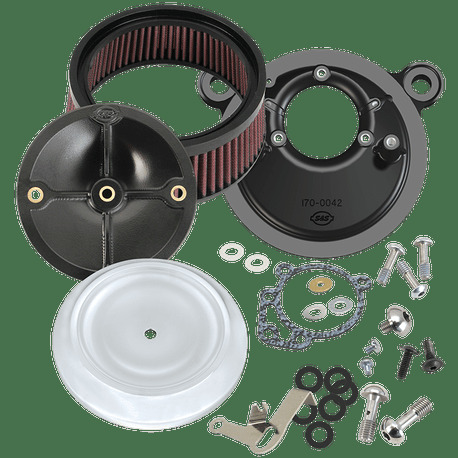 Kit includes back plate, filter element, top cover, chrome dished Bobber cover, hardware, and instructions.